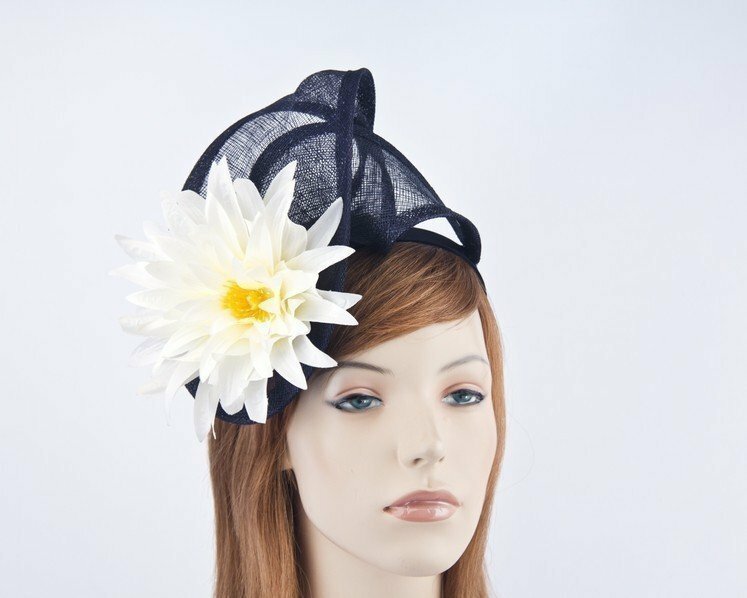 Beautiful navy & cream sinamay fascinator with large flower from latest Max Alexander racing collection. This elegant twisted fascinator is mounted on the headband for comfortable wear. This unique and unusual design will turn heads when you wear it at Melbourne Cup or spring racing carnivals. Get your next fascinator at Hats From OZ and join thousands of happy customers worldwide.